As a vibrant area of computer science which continues to develop rapidly, AI is a field in which fresh ideas and new perspectives are of particular interest. This book presents the proceedings of the 8th European Starting AI Researcher Symposium (STAIRS 2016), held as a satellite event of the 22nd European Conference on Artificial Intelligence (ECAI) in The Hague, the Netherlands, in August 2016. What is unique about the STAIRS symposium is that the principal author of every submitted paper must be a young researcher who either does not yet hold a Ph.D., or who has obtained his Ph.D. during the year before the submission deadline for papers. The book contains 21 accepted papers; Part I includes the 11 long papers which were presented orally at the symposium, and Part II the remaining long and short papers presented in poster sessions. These papers cover the entire field of AI, with social intelligence and socio-cognitive systems, machine learning and data mining, autonomous agents and multiagent systems, being the areas which attracted the largest number of submissions. There is a good balance between foundational issues and AI applications, and the problems tackled range widely from classical AI themes such as planning and scheduling or natural language processing, to questions related to decision theory and games, as well as to other newly emerging areas. Providing a tantalizing glimpse of the work of AI researchers of the future, the book will be of interest to all those wishing to keep abreast of this exciting and fascinating field. Editors: Pearce, D., Pinto, H.S. Ontology, originally a fundamental part of philosophical enquiry, is concerned with the analysis and categorization of what exists. The advent of complex information systems which rely on robust and coherent formal representations of their subject matter has led to a renewed focus on ontological enquiry, and the systematic study of such representations are at the center of the modern discipline of formal ontology. This is now a research focus in domains as diverse as conceptual modeling, database design, software engineering, artificial intelligence, computational linguistics, the life sciences, bioinformatics, geographic information science, knowledge engineering, information retrieval and the semantic web. 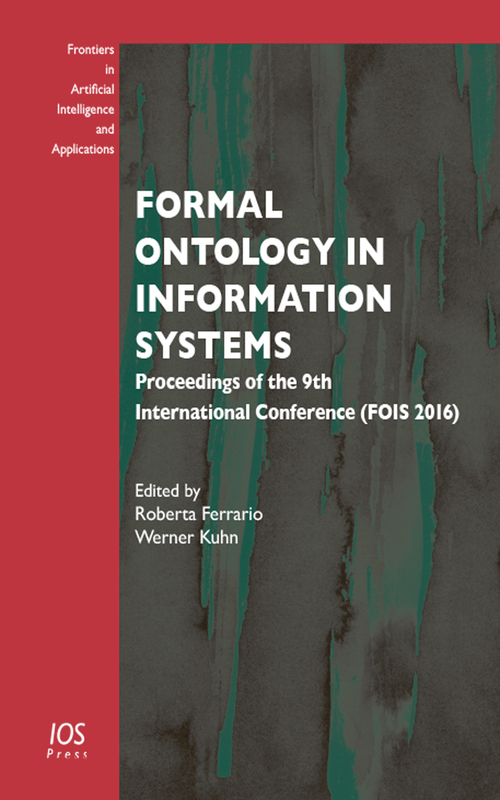 This book presents the proceedings of the 9th edition of the Formal Ontology in Information Systems conference (FOIS 2016) held in Annecy, France, in July 2016. It contains the 25 full papers delivered at the conference (an acceptance rate of 30.9% for the main track), as well as the abstracts of the 3 keynotes by Gilberto Câmara, Stephen Mumford and Friederike Moltmann. The remainder of the book is divided into the sections: Foundations; Space, Time and Change; Cognition, Language and Semantics; Empiricism and Measurement; Ontology for Engineering; Biomedical Ontologies; and Ontology of Social Reality. The domains addressed by the papers include geography, biomedicine, economics, social reality and engineering, and the book will be of interest to all those working in these fields, as well as to anybody with an interest in formal ontology. Editors: Ferrario, R., Kuhn, W.
The use of digital information and web technologies is now essential to all our lives on a daily basis. In particular, web technologies that enable easy access to digital information in all its forms and regardless of the user’s purpose are extremely important. 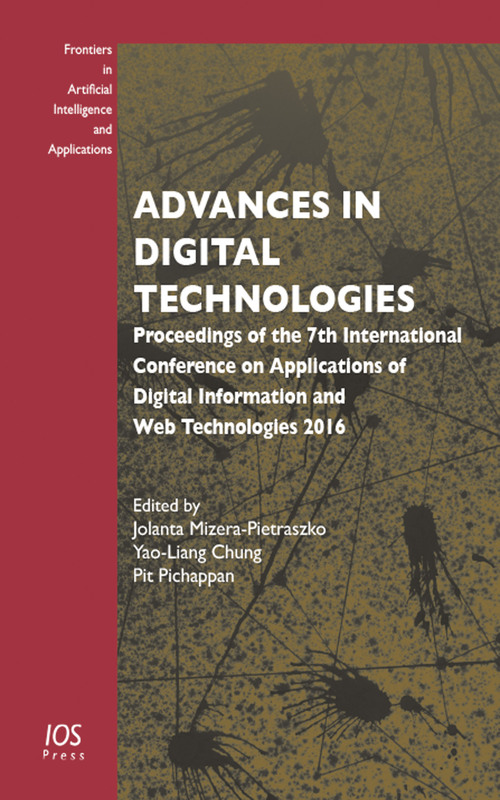 This book presents papers from the 7th International Conference on Applications of Digital Information and Web Technologies (ICADIWT 2016), held in Keelung City, Taiwan, in March 2016. The conference, which has been organized since 2008, is aimed at building the infrastructure necessary for the large-scale development of web technologies, and attracts participants from many countries who attend the conference to demonstrate and discuss their research findings. The 19 full papers presented at the conference have been arranged into 5 sections: networking; fuzzy systems; intelligent information systems; data communication and protection; and cloud computing. Subjects covered fall under areas such as Internet communication, technologies and software; digital communication software and networks; the Internet of things; databases and applications; and many more. The book will be of interest to all those whose work involves the application of digital information and web technologies. Editors: Mizera-Pietraszko, J., Chung, Y.-L., Pichappan, P.
Fuzzy logic is widely used in machine control. The term ‘fuzzy’ refers to the fact that the logic involved can deal with concepts that cannot be expressed as either ‘true’ or ‘false’, but rather as ‘partially true’. Fuzzy set theory is very suitable for modeling the uncertain duration in process simulation, as well as defining the fuzzy goals and fuzzy constraints of decision-making. It has many applications in industry, engineering and social sciences. 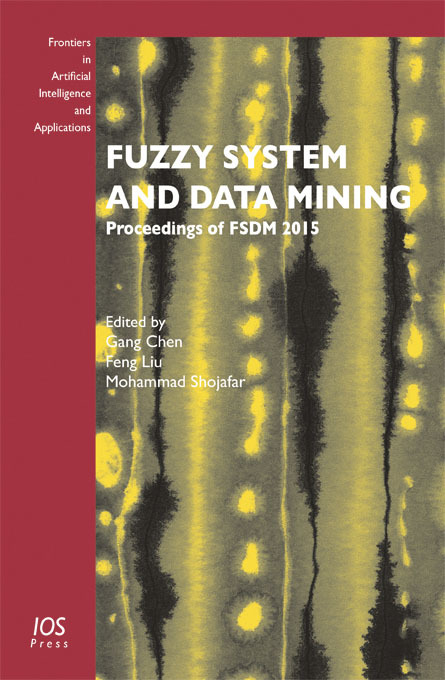 This book presents the proceedings of the 2015 International Conference on Fuzzy System and Data Mining (FSDM2015), held in Shanghai, China, in December 2015. The application domain covers geography, biology, economics, medicine, the energy industry, social science, logistics, transport, industrial and production engineering, and computer science. The papers presented at the conference focus on topics such as system diagnosis, rule induction, process simulation/control, and decision-making. They include papers on solving practical problems with intelligent algorithms; statistical analysis; classification and clustering; and association rule learning. They also reflect the frontier in data mining research and address the challenges posed to data analytics research by the increasingly large datasets yielded by many application domains, together with new types of unstructured data. The book provides an overview of the ways in which fuzzy theory and data mining principles are applied in various fields, and will be of interest to all those who work in either the theory or practice of fuzzy systems and data mining. Editors: Chen, G., Liu, F., Shojafar, M.
Information modeling has become an increasingly important topic for researchers, designers and users of information systems. In the course of the last three decades, information modeling and knowledge bases have become essential, not only with regard to information systems and computer science in an academic context, but also with the use of information technology for business purposes. 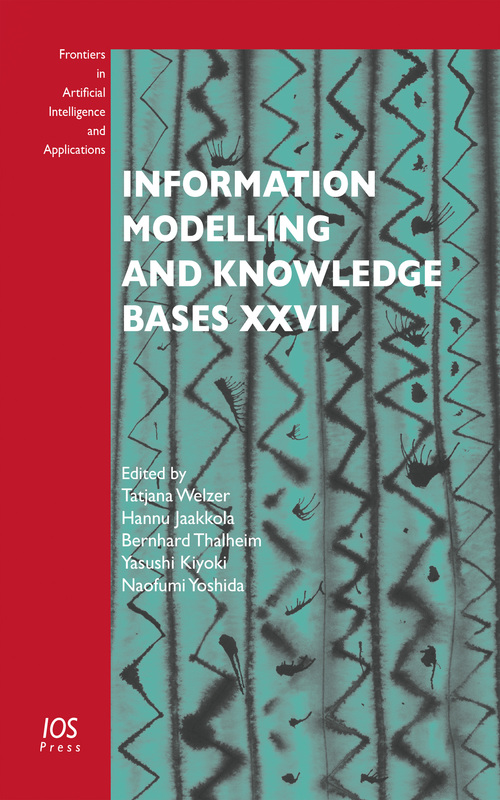 This book presents 29 papers selected and upgraded from those delivered at the 25th International Conference on Information Modelling and Knowledge Bases (EJC 2015), held in Maribor, Slovenia, in June 2015. The aim of the conference is to bring together experts from different areas of computer science and other disciplines, including philosophy and logic, cognitive science, knowledge management, linguistics, and management science, with a view to understanding and solving problems and applying research results to practice. Areas covered by the papers include: conceptual modeling; knowledge and information modeling and discovery; linguistic modeling; cross-cultural communication and social computing; environmental modeling and engineering; and multimedia data modeling and systems. The book will be of interest to all those whose work involves the development or use of information modeling and knowledge bases. Computer technology has become an essential part of all our lives, and the legal profession is no exception. For more than 25 years, the annual JURIX conference has provided an international forum for academics and practitioners working at the cutting edge of research into and the application of the interface between law and computer technologies. This book presents the proceedings of the 28th International Conference on Legal Knowledge and Information Systems (JURIX 2015), which took place in Braga, Portugal in December 2015. The book contains 14 full papers, nine short papers and nine posters delivered at the conference. These address a wide range of topics in legal informatics, and fall into three main subject areas: theory and foundations of AI and law, focusing on themes such as argumentation, reasoning, and evidence; technology of AI and law, which presents technological advancements and solutions; and applications of AI and law, describing implementations of AI and law technology in real world systems. The book offers an overview of the ways in which current information technology is relevant to the practice of law, and will be of interest to all those whose work involves legal theory, argumentation and practice. Artificial intelligence (AI) has featured widely in the news recently. It is vital to the continued development of computer science and informatics, and is indispensable for the effective functioning of a multitude of systems in fields such as medicine, economics, linguistics, philosophy, psychology and logical analysis, as well as industry. 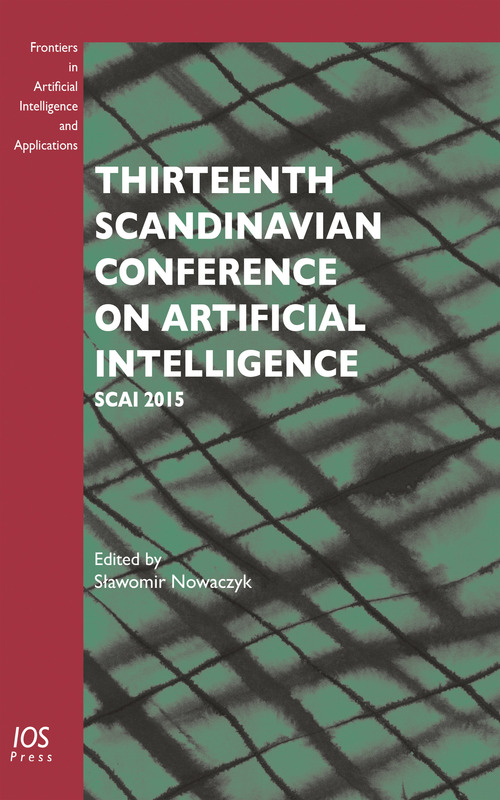 This book presents the proceedings of the 13th Scandinavian Conference on Artificial Intelligence (SCAI 2015), held in Halmstad, Sweden, in November 2015. SCAI is the main biennial conference for the AI research communities of Scandinavia, but also attracts the attendance of a wide range of international participants. The book features 17 accepted papers from the conference as well as extended abstracts describing the work of six Ph.D. students who presented their research-in-progress to a panel of experts in the doctoral symposium which forms part of the conference. A wide range of topics are covered, including machine learning, data mining, logical reasoning, robotics and planning, and the papers included here focus on both the theory and practical applications of AI. The book will be of interest to all those wishing to keep abreast of the latest developments in the field of AI. Since it was formed in 1994, the Catalan Association for Artificial Intelligence (ACIA) has been promoting cooperation between researchers in artificial intelligence within the Catalan speaking community. The association now holds an annual conference in the Catalan region, which aims to foster discussion of the latest developments in artificial intelligence within the community of Catalan countries, as well as amongst members of the wider AI community. This book presents the proceedings of the 18th International Conference (CCIA 2015), held in Valencia, Spain, in October 2015. It contains full versions of the peer reviewed papers presented at the conference, as well as shorter poster contributions. In addition to this year’s dominant research trends of classification, decision support systems and data mining, many other topics are covered, ranging from theoretical aspects to descriptions of real applications. 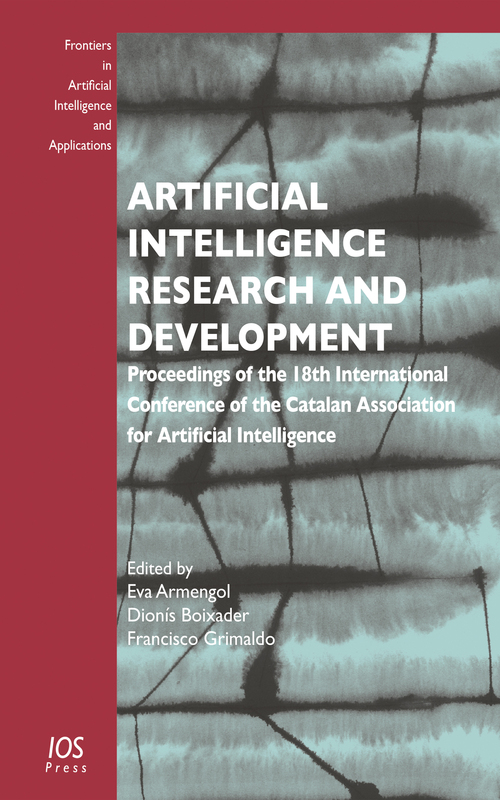 This overview of current work in the Catalan artificial intelligence community and of the collaboration between ACIA members and the AI community worldwide will be of interest to all those working in the field of artificial intelligence. Editors: Armengol, E., Boixader, D., Grimaldo, F.
System science and engineering is a field that covers a wide spectrum of modern technology. A system can be seen as a collection of entities and their interrelationships, which forms a whole greater than the sum of the entities and interacts with people, organizations, cultures and activities and the interrelationships among them. Systems composed of autonomous subsystems are not new, but the increased complexity of modern technology demands ever more reliable, intelligent, robust and adaptable systems to meet evolving needs. 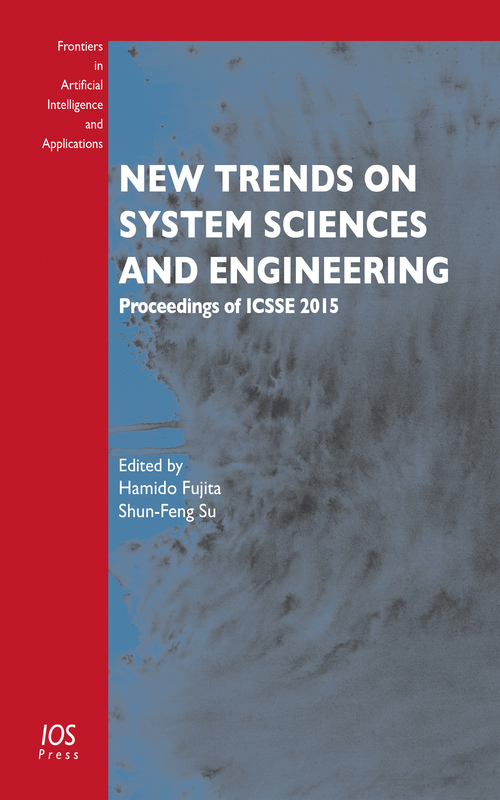 This book presents papers delivered at the International Conference on System Science and Engineering (ICSSE2015), held in Morioka, Japan, in July 2015. Some of the topics covered here include: systems modeling, tools and simulation; cloud robotics and computing systems; systems safety and security; smart grid, human systems and industrial organization and management; and novel applications of systems engineering and systems architecture. Capturing as it does the latest state-of-the-art and challenges in system sciences and its supporting technology, this book will be of interest to all those involved in developing and using system science methodology, tools and techniques. Editors: Fujita, H., Su, S.-F.
Easy access to digital information in every form is something which has become indispensable given our ever-increasing reliance on digital technology. But such access would not be possible without the reliable and effective infrastructure which has led to the large-scale development of web technologies. 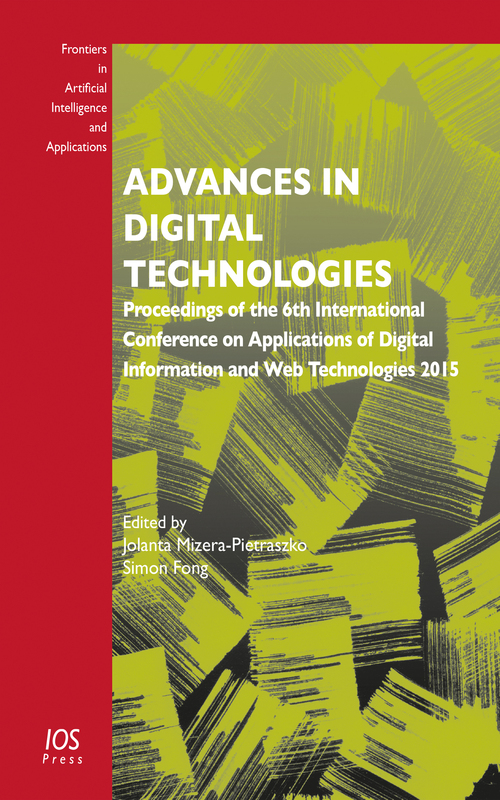 Since each paper is a survey contributed by different experts from very many countries, this book can be seen as a collection of the current research trends in the field and hence it will be of interest to all those whose work involves digital information and web technology. Editors: Mizera-Pietraszko, J., Fong, S.